For the second week running, the future of St Helier Hospital has, quite rightly, been front page news in the local Guardian newspaper. 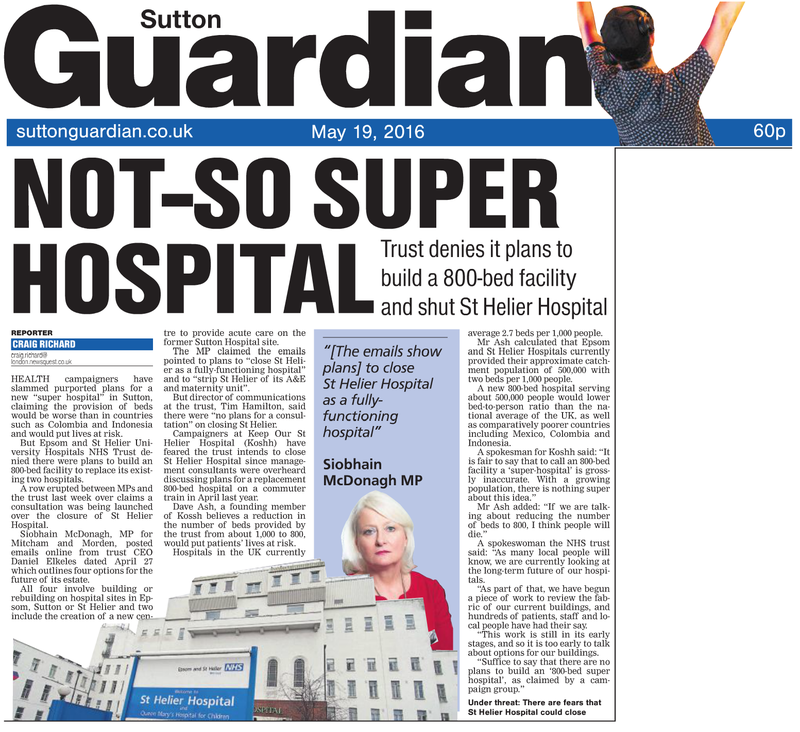 Partly in response to our article about hospital bed provision which you can read here, the Sutton Guardian have run the following piece on the front page of today's paper. 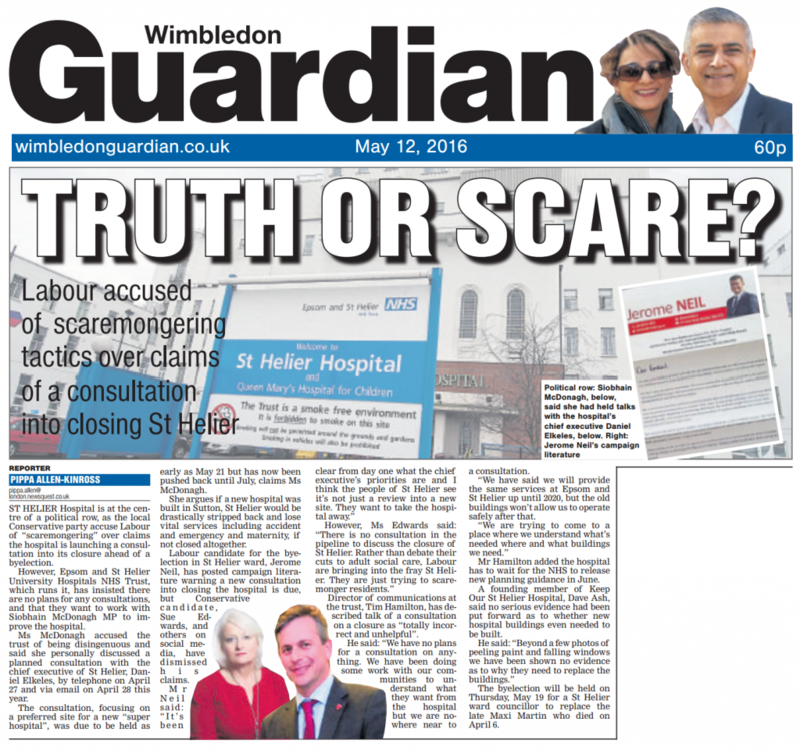 12/05/2016 Wimbledon Guardian - Click the image above to enlarge.